Soumya calls up Rudra by getting worried for him. Romi answers the call. She tells Soumya that Rudra is with her. She says Rudra is fighting between life and death. Soumya gets a big shock when Romi sends her the video of Rudra’s worse state. Soumya sees Rudra getting tortured by Romi. Soumya warns Romi to stop doing this. She asks Romi to leave Rudra, else she will tell Shivay and Omkara about it. Romi threatens Soumya not to tell anyone, else she will lose Rudra forever. On the other hand, Omkara is worried for Rudra. Soumya could not stop herself and informs Omkara about Rudra’s bad state. Omkara asks Soumya where is Rudra. Soumya tells Omkara since the beginning of the story, how the psycho Romi is torturing Rudra and forcing him for marriage. Omkara gets a big shock seeing the torture video. Omkara gets angered on Romi. Omkara and Soumya try to figure out the place, where Romi has kept Rudra. Soumya is sure that it is Romi’s house. She tells Omkara that she knows Romi’s house. Omkara asks Soumya to hurry up as they have to rescue Rudra. The marriage day of Shivay and Tia arrives. Anika comes to do the final arrangements. Dadi, Pinky, Shakti and all the family members go to temple to pray for Shivay and Tia. Anika manages the arrangement and hurries up. Shivay passes bad remarks on Anika and gets his anger out. He says you are an expert planner in earning big amounts with ease in less time. He asks her to take his recommendations to get new work. Anika shows her self-esteem and refuses to take his help. Shivay asks about her decision to marry Daksh. He tells her that Daksh is very rich, and now she needs no work. 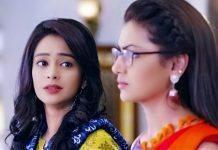 Anika tells Shivay that she does not need Daksh’s money, help and support to make her life. Shivay jokes on her big heavy dialogues, which she acts to speak with emotions. Anika is sure Shivay means something else. She does not ask, as he is concealing the matter. She gives him the wedding attire and asks him to try it, to say about the fitting changes if needed. Shivay angrily stays away from Anika. Anika could not understand his anger. Tia’s husband gets too insecure and takes her away, to limit her from marrying Shivay. Anika calls Tia. Anika asks her to try to wedding dress and check fitting. Tia asks Anika to try it herself and she will get late. Anika gets in dilemma whether to try the bridal dress or not. Anika and Shivay get dressed as the bride and groom. 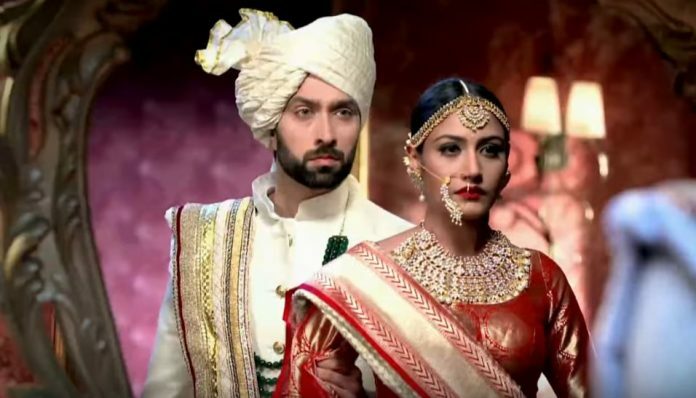 Shivika’s romantic moments will be seen in a flashback scene. Viewers will get to see all the sweet and cute fights of Shivay and Anika, along with the selfless support for each other. Shivay and Anika rule out their emotions while seeing each other in the wedding attire. Their love story will get completed by marriage in upcoming episodes, but seems the love confession will take good time to happen. Tia and Daksh’s track will take a backseat for sometime now. Keep reading.